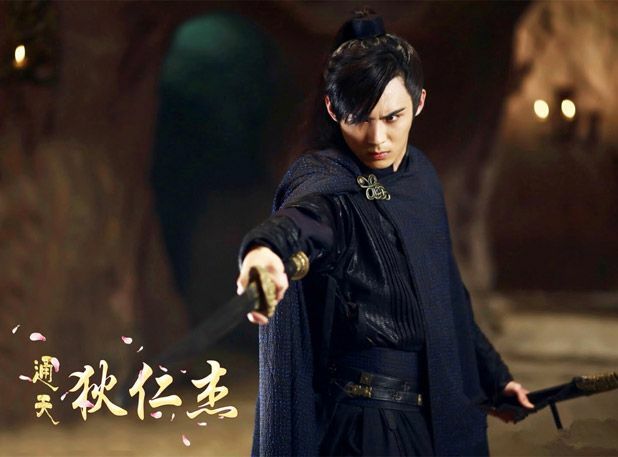 Allen Ren Jia Lun’s first drama Detective Dee has finally aired! 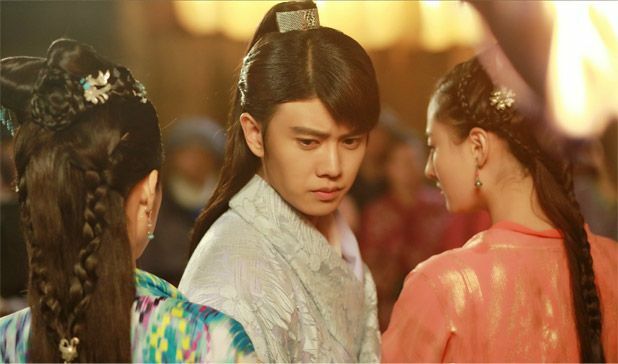 Allen Ren Jia Lun, you lucky duck. 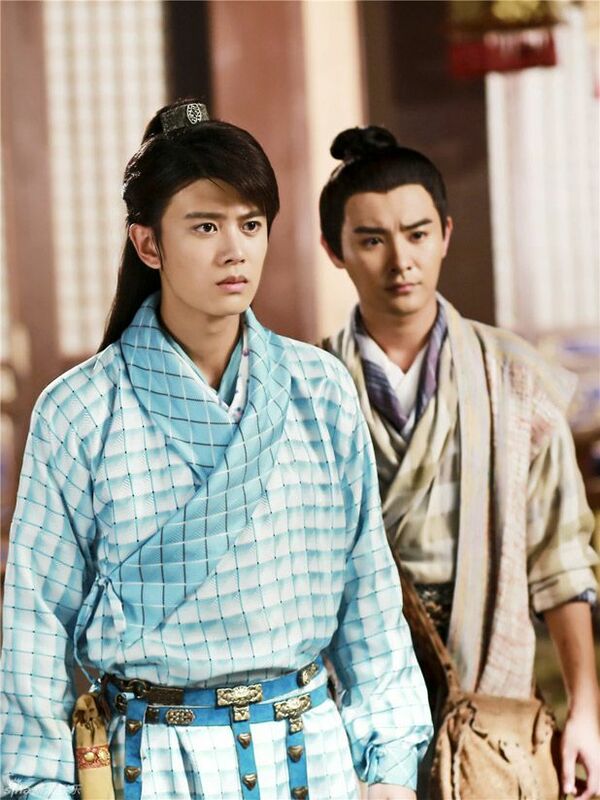 I thought this drama already aired. NOT. Lol. 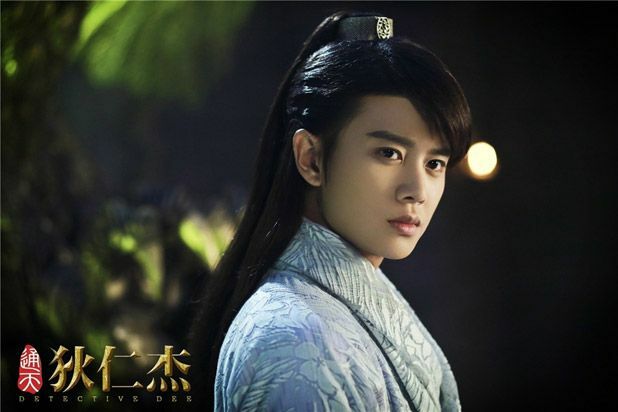 Who would have thought his first drama was three years ago and he was cast as the leading male in his first role? 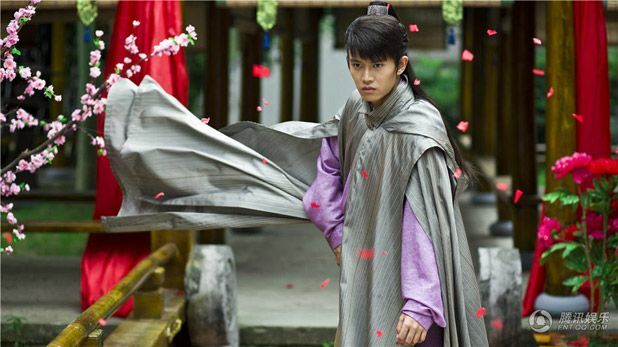 Along with a handful of recognizable faces in today’s news such as Andy Chen Yi, Jiao Jun Yan, Han Qing Zi, and Li Ruo Jia. 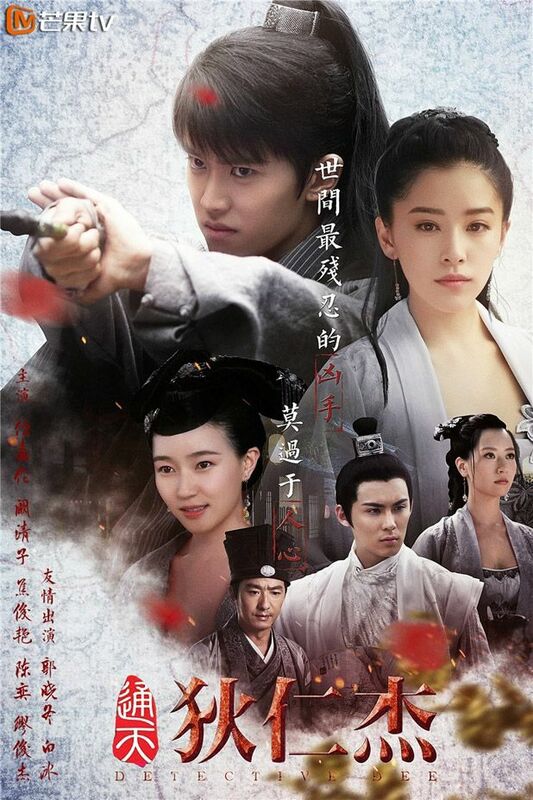 Detective Dee (通天狄仁杰), like the name suggests, is a period detective series set during rule of Emperor Gaozong of Tang (how fitting of a period for Allen!) led by a very green rookie actor. Do you see his potentials then? 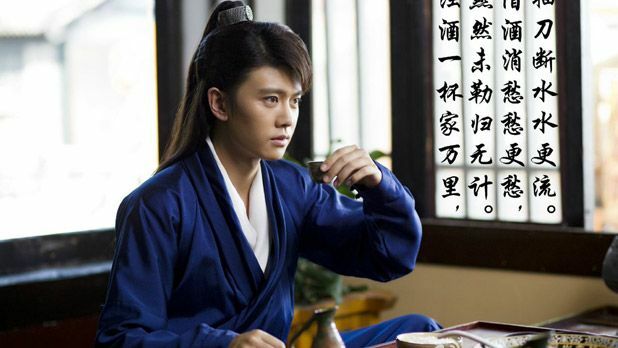 Allen Ren Jia Lun as the smart cookie crime solver. 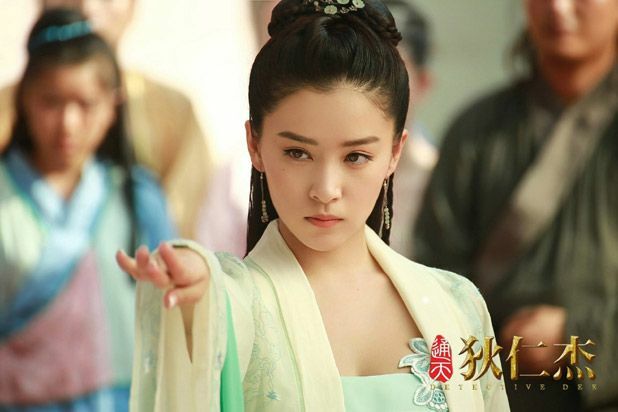 His female lead is Han Qing Zi and here she’s showing you her immaculate nails. 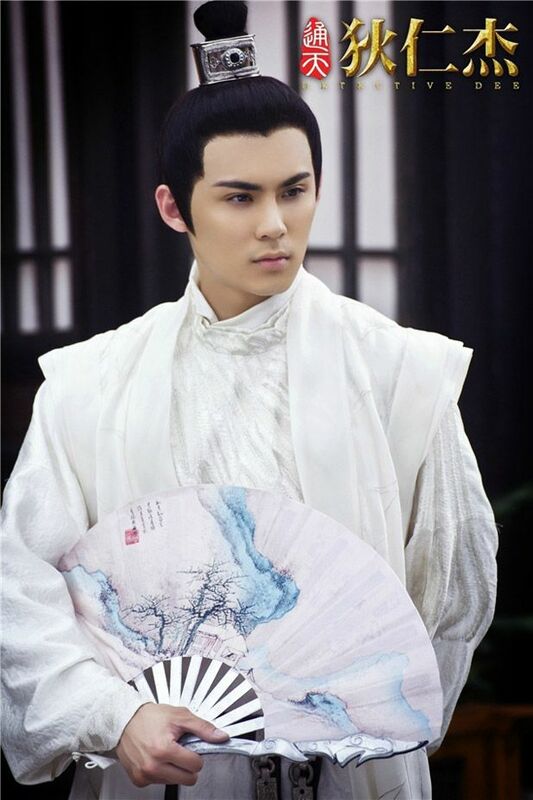 Jiao Jun Yan, hello there. 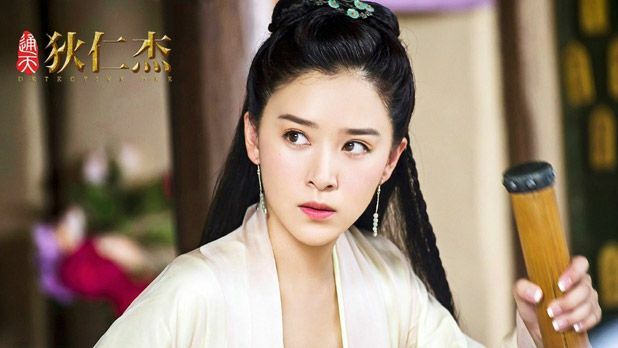 She’s playing Wu Ze Tian! 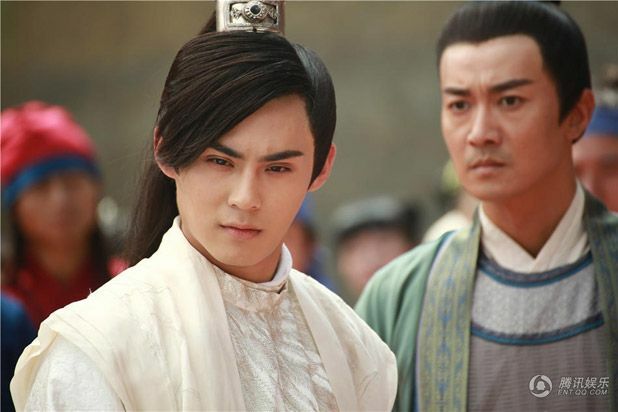 Directed by Ye Zhao Yo (Princess of Lan Ling) and Li Wen Long (Bet Hur) and written by Chen She San (Xuan-Yuan Sword: Scar of Sky), Detective Dee has 46 episodes and began airing on August 21st. 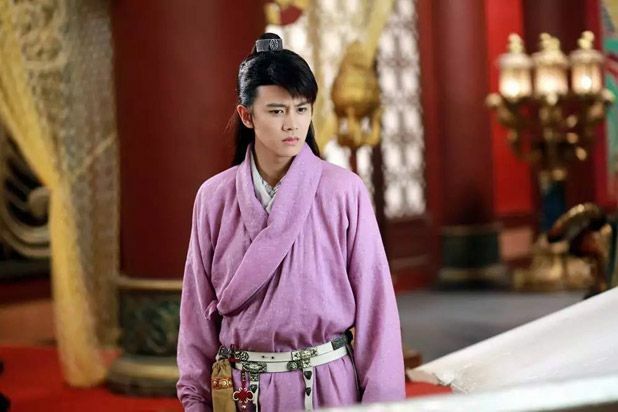 This entry was posted in Entertainment News and tagged Adi Han Qing Zi, Allen Ren Jia Lun, Andy Chen, Cdrama, Detective Dee (通天狄仁杰), Jiao Jun Yan, Li Ruo Jia by Kappy. Bookmark the permalink. 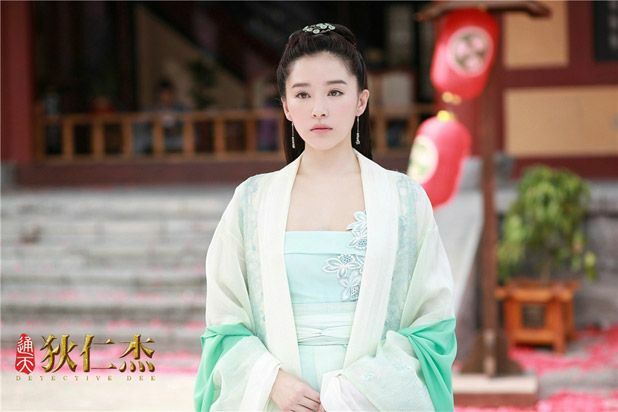 Will the Tang ladies’ garments incur the wrath of the censors halfway through broadcast as was the case with FBB’s skin-gate scandal? 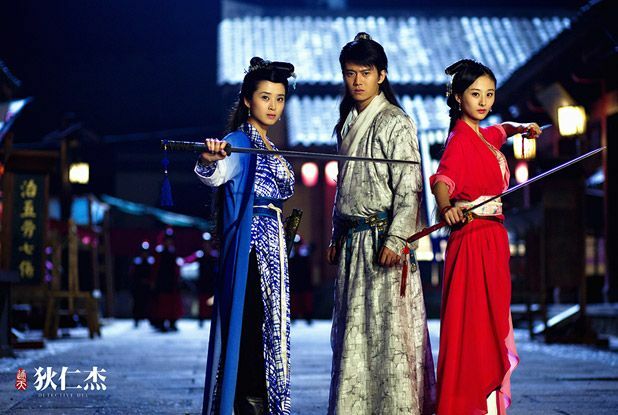 The ladies seem to be more generous at showing …ehem.. than some other dramas. This is as much as you can show and still get to broadcast? This costume designer has a unique approach to wardrobe. 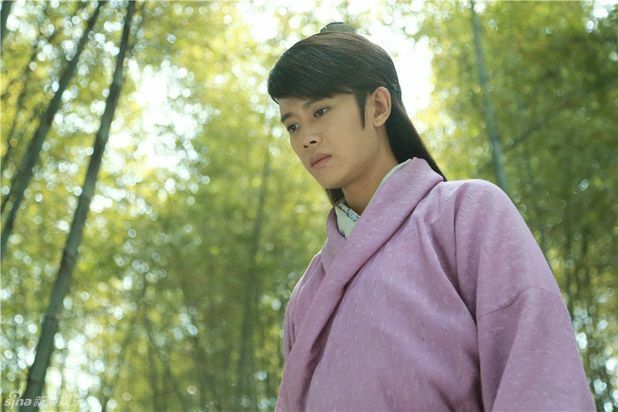 Ren jialun’s mauve robe looks very pink for a male detective. The gingham/plaid outfit isn’t great. 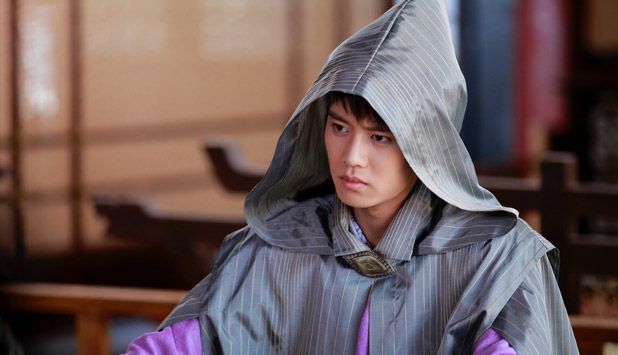 The mauve robe fabric also looks too soft and succumbs into a wrinkly look. I’m not going to mention the bangs… much. I also didn’t mention the bangs for a reason! xD Great minds think alike. Hope you’re not really pulling hair over the website issues Kappy. Technology can be such a pain. As a tool that’s supposed to help humans do things faster, tech seems to have more character than I do. Out of comments from 4 of us, bangs were mentioned 3 times. “ahem” was mentioned twice. I guess I’m not alone then. Just started watching and binge watched up to ep 12. I’m a sucker for these, esp with Allen and Kan Qing Zi. Lol cuz Qing Zi’s character name in pinyin is also Qing Zi (well not really, but her aunt and Allen alt between calling her Qing Zi and Qing er. It’s a diff character AND sound for Qing but I just thought it was funny). That aside, I think as a detective Dee drama goes, it’s decent and actually pretty good. 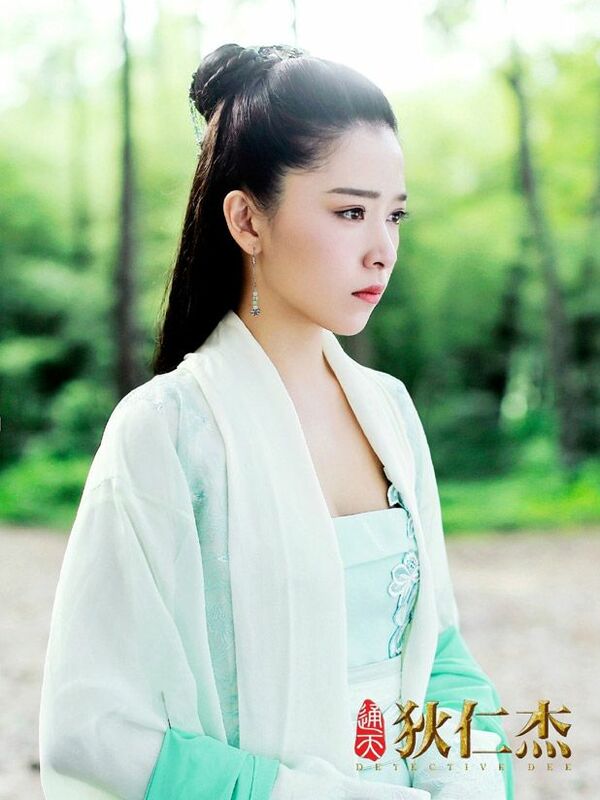 Kan Qing Zi is like my favorite all time under-appreciated actress so it’s nice to see her looking beautiful as the female lead in a decent drama for once. 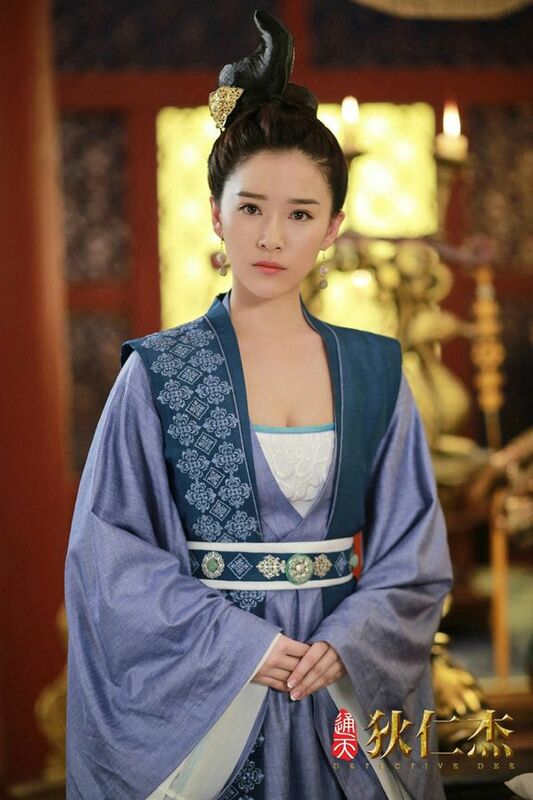 Although I’m personally not a fan of the Tang dynasty style but she’s still gorg, excessive cleavage and billowing clothes aside. Thank you for your sharing your thoughts Juli. I may check this out in a couple of months. 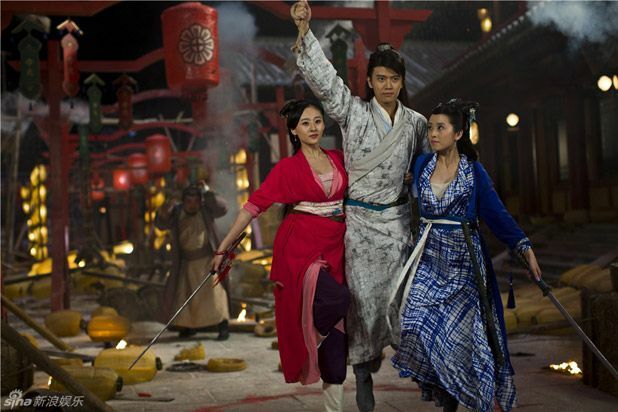 I’m often curious at how drama execs like to just follow one aspect of Tang style.Tang ladies were curvy all around. Tang female historical figurines tend to have very round faces, limbs and everything.But only the upper torso part gets copied into Tang dramas.